To view our full terms and conditions please scroll down. These are our standard terms and conditions upon which we intend to rely. For your own benefit and protection you should read these terms carefully before accepting them. If you do not understand any point please ask for further information. We/Our/Us: Aspect Window Styling Limited a company registered in England with company number 08942949 whose registered office is 1 Saracen Street, Bath, BA1 5BR. These are the terms and conditions on which We supply Goods, or Services, or both Goods and Services, to you. We may amend these Terms from time to time as set out in clause 3. Every time you wish to order Goods or Services, please check these Terms to ensure you understand the terms which will apply at the time. Every time you place an Order, the Terms in force at the time of your Order will apply. These terms were most recently updated in June 2015. Please ensure that you read these Terms carefully, and check that the details on the Order and these Terms are complete and accurate, before you sign and submit the Order. If you think that there is a mistake or require any changes, please contact Us to discuss. We will confirm any changes in writing to avoid any confusion between you and Us. When you sign and submit the Order to Us, this does not mean We have accepted your order for Goods and/or Services. Our acceptance of the Order will take place as described in clause 5. If We are unable to supply you with the Goods and/or Services, We will inform you of this and We will not process the Order. In the case of an Order for Goods and Services, when you pay the 50% deposit pursuant to clause 12.6. Our website is solely for the promotion of Our Goods and Services that We sell from Our store. Unfortunately, We do not carry out Services to addresses outside the UK. The images of the Goods on Our website and in Our marketing material are for illustrative purposes only. Although We have made every effort to display the colours accurately, We cannot guarantee that the printed pictures accurately reflect the colour of the Goods. Your Goods may vary slightly from those images. Although We have made every effort to be as accurate as possible, because our Goods are handmade, all sizes, weights, capacities, dimensions and measurements indicated in Our marketing material have a 2% tolerance. It is a condition of the Contract that where you purchase Goods but not Services from Us, you warrant that you will assemble and/or install the goods in accordance with all applicable European and United Kingdom’s regulations and health and safety legislation including, but not limited to, any regulations and legislation relating to child safety. We may revise these Terms from time to time to reflect the changes in relevant laws and regulatory requirements. If We have to revise these Terms under clause 1, We will give you written notice of any changes to these Terms before they take effect. You can then choose to cancel the contract in accordance with clause 15.4(c). If you wish to cancel an Order before it has been fulfilled, please see your right to do so in clause 15. In the case of made-to-measure Goods, because We make these Goods to your specific requirements, you will not be able to cancel an Order once it is made and clause 4 applies. Where we are making made to measure Goods, We will come to you and take the measurements for you, unless agreed otherwise. Where We are making the Goods according to the measurements that you provide Us, You can contact Us for information and tips on how to do this. Where you have ordered Standard Goods and Services, not Made to Measure or Made to Order, We will provide an estimated date by which the Goods will be delivered to Us and an estimated time by which We will carry out the Services. Where you have ordered Standard Goods and requested that they are to be delivered to you, We will contact you with an estimated delivery date. Please note that timescales for delivery and delivery charges will vary depending on the availability of the Goods and your address. Please allow for extra time for deliveries to the Scottish Highlands and Islands. Unfortunately We do not deliver to addresses outside the UK. Occasionally Our delivery to you may be affected by an Event Outside Our Control. See clause 14 for Our responsibilities when this happens. If you have asked to collect the Goods from Our premises, you can collect the Goods from Us at any time during Our working hours of 9am – 5pm on weekdays and 10am – 5pm on Saturdays. All deliveries will need to be checked and signed for upon arrival. Delivery of an Order shall be completed when We deliver the Goods to the address you gave Us or you collect them from Us and the Goods will be your responsibility from that time. We guarantee that for a period of 12 months from the date of completion of the Services, the workmanship and installation of the Goods shall be free from material defects. However, this guarantee does not apply in the circumstances described in clause 2. Subject to clause 4, if you are unhappy with the Goods for any reason you may return them to Us at your own cost within 14 calendar days of receipt if you send Us the proof of purchase. We will refund you the price you paid for the Goods. We will supply the Services to you from the date agreed between Us in writing for a period until the estimated completion date set out in the Order. We will make every effort to complete the Services on time. However, there may be delays due to an Event Outside Our Control. See clause 14 for Our responsibilities when an Event Outside Our Control happens. We will need certain information from you that is necessary for Us to provide the Services, for example, the measurements, the positioning of the Goods and confirmation that the working area will be cleared and safe. We will contact you about this. If you do not, after being asked by Us, provide Us with this information, or you provide Us with incomplete or incorrect information, We may make an additional charge of a reasonable sum to cover any extra work that is required, or We may suspend the Services by giving you written notice. We will not be liable for any delay or non-performance where you have not provided this information to Us after We have asked. If We suspend the Services under this clause 3, you do not have to pay for the Services while they are suspended, but this does not affect your obligation to pay any invoices We have already sent you. We may have to suspend the Services if We have to deal with technical problems, or to make improvements agreed between you and Us in writing to the Services. We will contact you to let you know in advance where this occurs, unless the problem is urgent or an emergency. You do not have to pay for the Services while they are suspended under this clause 4 but this does not affect your obligation to pay for any invoices We have already sent you. If you do not pay Us for the Services when you are supposed to as set out in clause 6, We may suspend the Services with immediate effect until you have paid Us the outstanding amounts (except where you dispute an invoice under clause 12.9). We will contact you to tell you this. This does not affect Our right to charge you interest under clause 12.8. If We design the Goods for you, We will own the copyright, design right and all other intellectual property rights in the Goods and any drafts, drawings or illustrations We make in connection with the Goods for you. If We attend at your property to take measurements pursuant to clause 4.1 or to carry out the Services at a time and date arranged between you and Us and we are unable to gain access to the property, We will charge you an abortive call out fee of £45.00 plus VAT. This fee will be payable on demand. You will not have to pay for Us to repair or fix a defect with the Services or Goods under this clause 11.1. The price of the Goods and/or the Services will be set out in Our price list in force at the time you place your Order. Our prices may change at any time, but price changes will not affect Orders that you have already placed. These prices include VAT. However, if the rate of VAT changes between the date of the Order and the date of delivery or performance, We will adjust the rate of VAT that you pay, unless you have already paid for the Goods and/or Services in full before the change in the rate of VAT takes effect. The prices for the Goods include delivery costs, unless otherwise stated, in which case they will be added to the total amount due. It is always possible that, despite Our best efforts, some of the Goods We sell may be incorrectly priced. We will normally check prices as part of Our despatch procedures so that, where the Goods’ correct price is less than Our stated price, We will charge the lower amount when dispatching the Goods to you. If the Goods’ correct price is higher than the price stated on Our site, We will contact you to tell you and for your instructions. If the pricing error is obvious and unmistakable and could have reasonably been recognised by you as a mispricing, We do not have to provide the Goods to you at the incorrect (lower) price. Where We are providing Goods to you, you must make payment for Goods in advance by credit card or debit card. Payment for Services can be made by credit card, debit card or BACS. We accept payment with Visa, Mastercard and Maestro.. Please note that credit card payments are handled by RBS World Pay. If you wish to make a payment by BACS, please contact us for account details. Where We are providing both Services and Goods to you, We will ask you to make an advance payment of 50% of the price (plus a sum in respect of VAT thereon) of the Order. Your rights to a refund on cancellation are set out in clause 15. We will invoice you for the balance of the Order on the date following the date We have completed the Services. Each invoice will quote the Order number. You must pay each invoice on demand. Notwithstanding clause 12.6, where the completion of Services is delayed or prevented due to an Event Outside Our Control, we reserve the right to raise interim invoices reflecting the cost of any Goods purchased or Services carried out. If you do not make any payment due to Us by the due date for payment, We may charge interest to you on the overdue amount at the rate of 4% a year above the base lending rate of HSBC Bank plc from time to time. This interest shall accrue on a daily basis from the due date until the date of actual payment of the overdue amount, whether before or after judgment. You must pay Us interest together with any overdue amount. If you do not make any payment due to Us by the due date for payment, We may also cancel any discount that had previously been applied to your Order and the full amount will become due and owing, together with any interest that accrues pursuant to clause 12.8. However, if you dispute an invoice in good faith and contact Us to let Us know promptly after you have received an invoice that you dispute it, clause 8 will not apply for the period of the dispute. If We fail to comply with these Terms, We are responsible for loss or damage you suffer that is a foreseeable result of Our breach of the Terms or Our negligence, but We are not responsible for any loss or damage that is not foreseeable. Loss or damage is foreseeable if it is an obvious consequence of Our breach or if it was contemplated by you and Us at the time we entered into this contract. If We are installing the Goods and/or providing Services in your property, We will make good any damage to your property caused by Us in the course of installation or performance. However, We are not responsible for the cost of repairing any pre-existing faults or damage to your property that We discover in the course of installation and/or performance by Us. We only supply the Goods and/or Services for private use. You agree not to use the Goods and/or Services for any commercial, business or re-sale purpose, and We have no liability to you for any loss of profit, loss of business, business interruption, or loss of business opportunity. Our obligations under these Terms will be suspended and the time for performance of Our obligations will be extended for the duration of the Event Outside Our Control. Where the Event Outside Our Control affects Our delivery of Goods to you, We will arrange a new delivery date with you after the Event Outside Our Control is over. Where the Event Outside Our Control affects Our performance of Services to you, We will restart the Services as soon as reasonably possible after the Event Outside Our Control is over. You may cancel the contract if an Event Outside Our Control takes place and you no longer wish Us to provide the Goods and/or Services. Please see your cancellation rights under clause 15. We will only cancel the contract if the Event Outside Our Control continues for longer than 12 weeks in accordance with Our cancellation rights in clause 15.
unfortunately, if you cancel an Order for Goods under clause 1(a) and We have already despatched your Goods to you, We will not be able to cancel your Order until it is delivered or collected. In this case, if you return the Goods to Us, We will have to charge you the cost of collection or you will have to pay the cost of returning the Goods back to Us. This will not affect your refund for the Goods themselves, but we will not refund any charges for delivery and any charge for collection will be deducted from the refund that is due to you. Please note we are permitted by law to reduce your refund to reflect any reduction in the value of the Goods, if this has been caused by your handling them in a way which would not be permitted in a shop. Unfortunately, as made-to-measure Goods are made to your requirements, you will not be able to cancel your Order once made (but this will not affect your legal rights as a consumer in relation to made-to-measure Goods that are faulty or not as described). if you have made any payment in advance for Services that have not been provided to you, or Goods that have not been delivered to you, We will refund these amounts to you. Once We have begun to provide the Services to you, We may cancel the contract for the Services at any time by providing you with at least 3 calendar days’ notice in writing. If you have made any payment in advance for Services that have not been provided to you, We will refund these amounts to you. you break the contract in any other material way and you do not correct or fix the situation within 7 days of Us asking you to in writing. All Goods must be installed in accordance with all applicable laws. Any Services that we carry out will comply with all applicable health and safety regulations and legislation, including (but not limited to) any regulations and legislation relating to child safety. In the event that you ask us to carry out any Services that do not comply with the law, we may terminate the Services and remove the Goods. In these circumstances any refund is at Our discretion. If you order Goods from Us to be delivered directly to you or collected by you, you warrant that you will install the Goods in accordance with the relevant laws and (subject to clause 8) we can accept no liability for Goods you have installed yourselves. For further information we would refer you to the British Blind and Shutter Association; www.bbsa.org.uk. We are a company registered in England and Wales. Our company registration number is 08942949 and Our registered office is at 1 Saracen Street, Bath BA1 5BR. Our registered VAT number is 801198451. If you have any questions or if you have any complaints, please contact Us. 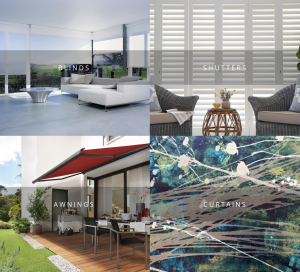 You can contact Us by telephoning Our customer service team at 01225 469559 or by e-mailing Us at info@aspectwindowstyling.co.uk. If you wish to contact Us in writing, or if any clause in these Terms requires you to give Us notice in writing (for example, to cancel the contract for services which We have started to provide), you can send this to Us by e-mail, by hand, or by pre-paid post to Aspect Window Styling Limited at 1 Saracen Street, Bath BA1 5BR. We will confirm receipt of this by contacting you in writing. If We have to contact you or give you notice in writing, We will do so by e-mail, by hand, or by pre-paid post to the address you provide to Us in the Order. This contract is between you and Us. No other person shall have any rights to enforce any of its terms. However, the purchaser of your property will have the benefit of the guarantee at clause 1 if you transfer it to them, but We and you will not need their consent to cancel or make any changes to these Terms.